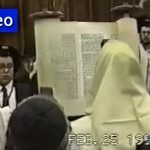 In a profile of a cutting edge video system in use by Major League Baseball Networks, The New York Times shed light on a little-known system that will ultimately drive future public access to videos of the Rebbe. 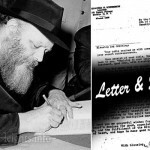 Almost a year ago, JEM’s director Rabbi Elkanah Shmotkin, along with The Living Archive’s Director of Preservation, Dekel Hamatian, visited MLB Networks in Secaucus New Jersey, as part of their planning for a content management system to catalog and house footage, audio, and photographs of the Rebbe. “The moment we saw their system, we knew we had found the closest thing to what we’ve been looking to build,” said Shmotkin. 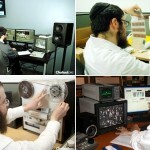 The Living Archive Preservation Project’s system will allow the instant ability to locate audio, video, and photographs of the Rebbe on any topic, date, or personality. One implementation of this approach can be seen at mymomentwiththerebbe.com. Elkonah and crew we are in awe of your great work, keep it up and get better. Wow! An incredible ruach hakoidesh vision from the Rebbe zt”l! And now we are using Baseball’s technology (and the rebbe loved mitzva-related use of hi tech) to archive the Rebbe’s life!! Elkana Shmotkin has always been a winner in using out baseball for chassidishe things. Remember winning (slugging) general elkana of team achrayus ’95?